With winter quickly approaching, it’s prudent to make sure your furnace has made it through the summer and is ready to provide comfortable temperatures well before the winter cold arrives. Regular tune-ups will go a long way toward ensuring your furnace will run smoothly and efficiently for the entirety of the season. The last thing you want is to find your furnace isn’t up to the task on a cold, Northern California night, when temperatures dip into the 30s on average. Likewise, sky-high energy bills can be just as frightful. Ensuring your furnace is running at its best will help you avoid high energy bills caused by an inefficient unit working harder than it should to comfortably heat your home. A system tune-up can help you avoid unexpected repairs or worse, making a dreaded emergency service call in the middle of the night. Just as you have preventative maintenance done on your vehicle, having your furnace regularly serviced could save you a lot of money and hassle, if not right now, then perhaps down the road. When you’re ready to switch on your furnace for the first time this fall, here are some easy things to do and look for to make sure your system is running at peak performance. Change the filters – Putting in new air filters prior to using your furnace will help your unit run more efficiently in addition to keeping dust, pollen and other indoor air quality nuisances out. 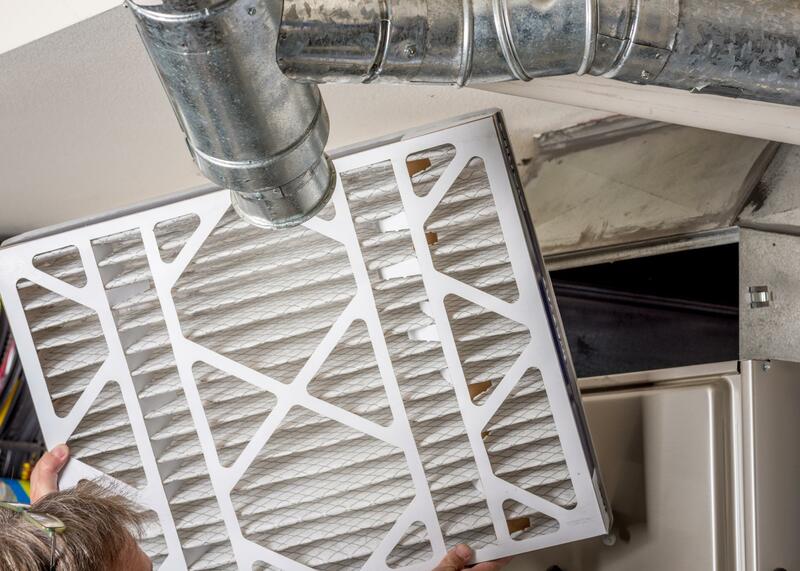 Clean your air vents – Like replacing air filters, cleaning the vents and registers will keep heat flowing evenly and efficiently through your home and prevent the circulation of dust. Don’t forget to make sure there’s nothing blocking the vents as well. Clear space around the system – This mostly applies if you’re system is outdoors – Be sure to clear at least several feet of space around the system by removing leaves, sticks and other clutter. Be sure it’s working – Don’t wait until the last minute to confirm all of your system’s components are working properly. Do yourself a favor and turn on your furnace and make sure heat is being evenly distributed into each room before you really need it. Calibrate your thermostat – When you turn on your system, set the temperature and use one or two additional thermometers to confirm your system is evenly heating your home at the desired temperature. Doing some of your own tune-up work is an excellent idea, but there are some things you’re better off having a professional look for prior to relying on your system for a long winter. Certain internal or unseen issues can have costly long-term ramifications if not diagnosed and fixed early. You may want to have a professional HVAC technician perform some basic tune-up tasks, such as checking the system pressure, checking the carbon monoxide detector, cleaning applicable equipment and checking for ductwork or ventilation leaks. Addressing these common issues now will help tremendously in the future with both system reliability, safety and comfort for your family. When it comes to getting regular maintenance done on your HVAC system, it’s imperative you receive service from an expert you can trust. Bonney Plumbing technicians will check for everything from quick fixes and adjustments to more serious issues, all while providing an honest assessment. Contact Bonney and schedule your fall tune-up before it’s too late. Call 800-444-0551 or visit us online today!